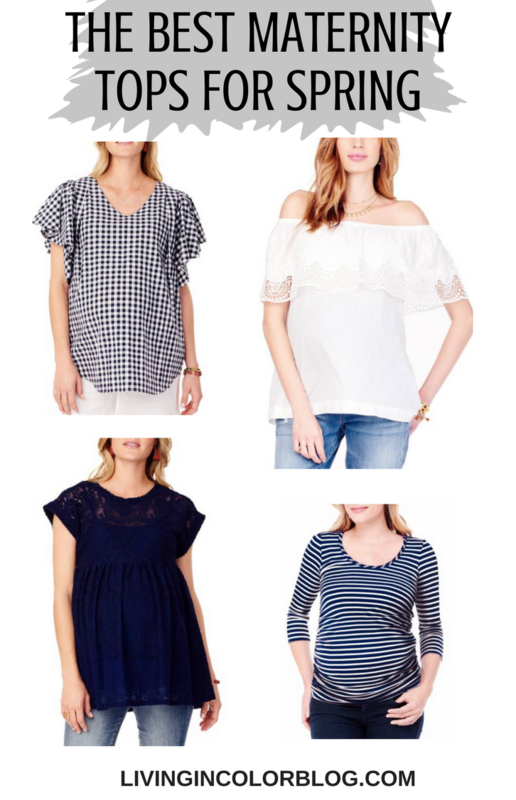 During my pregnancy, I had so many questions on my favorite maternity tops. 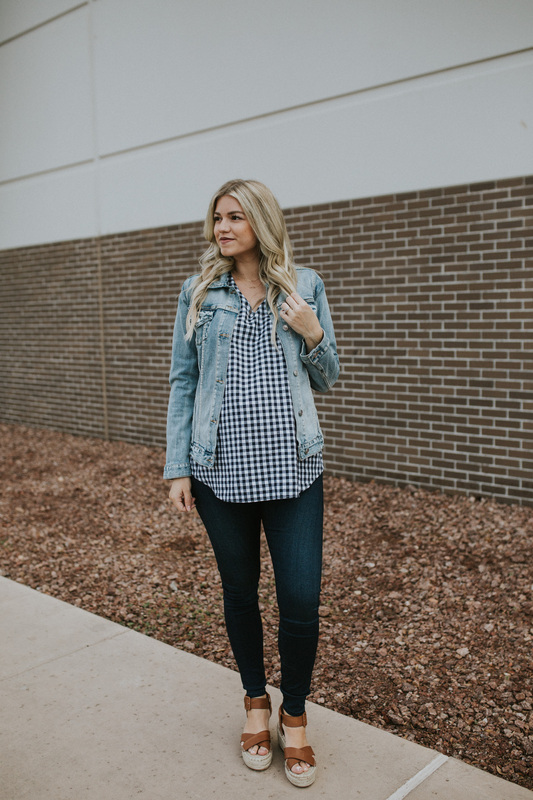 I’ve rounded up some of the best maternity tops for spring. 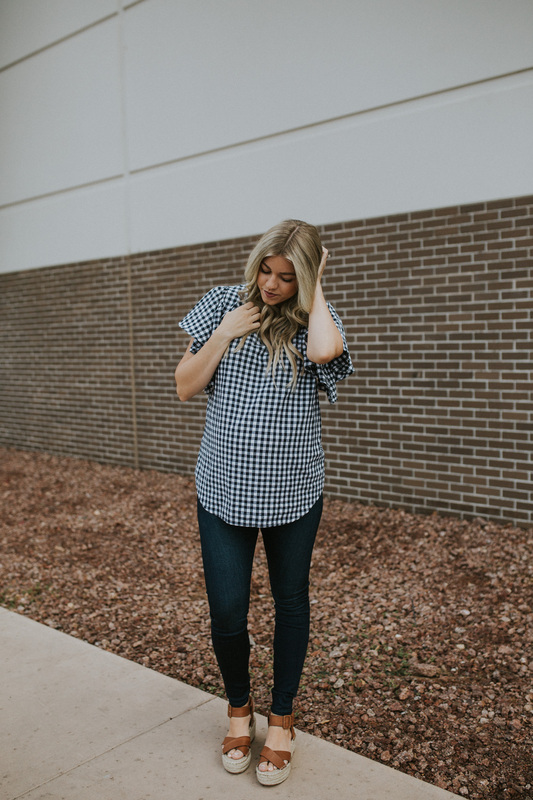 Keep reading to find out where to get them + learn more about one of my favorite maternity brands! As I’ve shared quite a few times throughout pregnancy, I’m low key obsessed with Ingrid & Isabel. Their clothing is trendy, great quality, and fits super well. 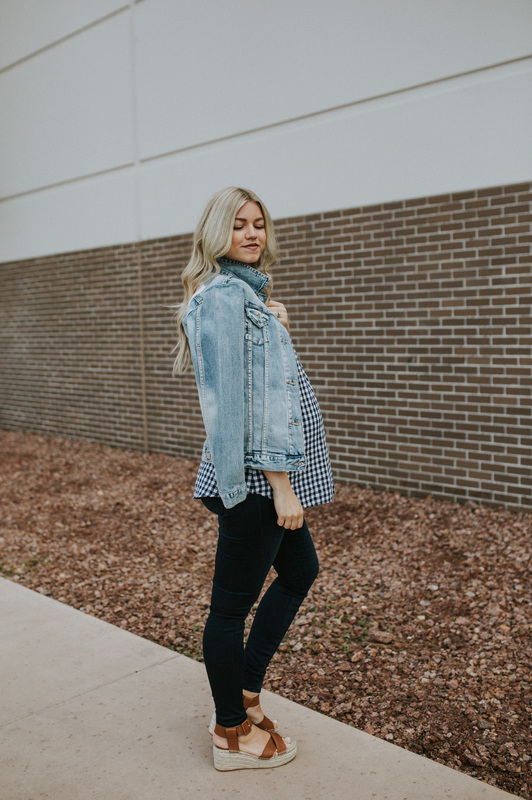 Pregnant bodies are not easy ones to dress, and I just feel like they totally know what they’re doing when it comes to comfort and practicality. 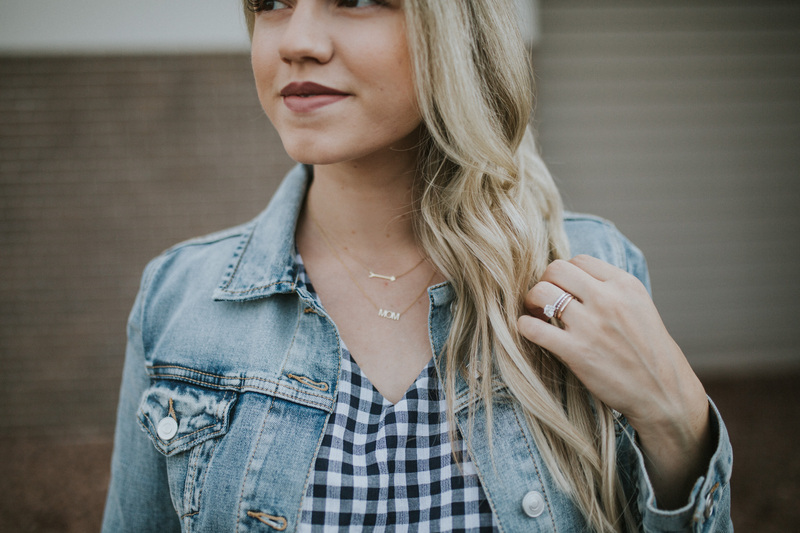 This top is made by Ingrid & Isabel, and I just love the print and the flutter sleeve. It’s also super flattering without looking tight on the belly. 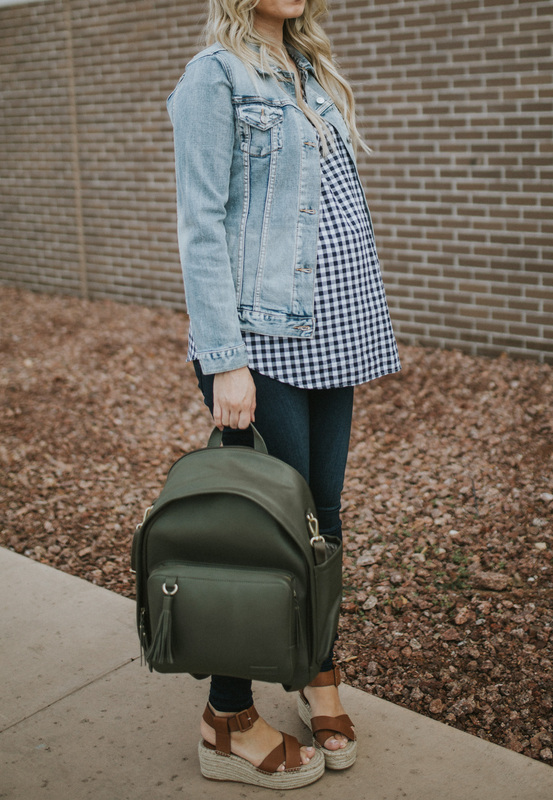 I love form-fitting tops and dresses during pregnancy but sometimes it’s nice not to have fabric hugging you constantly. 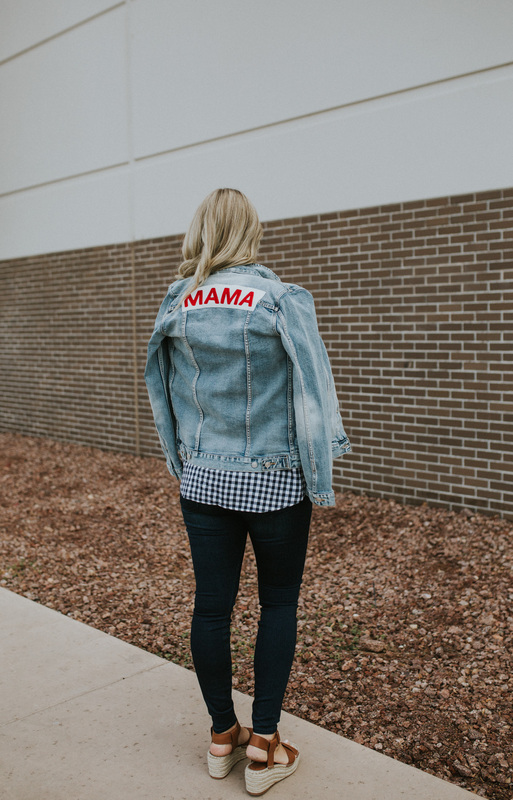 I styled it with my favorite, no-nonsense, under the belly maternity jeans and threw on my “Mama” jacket over it because it was super windy that day. Lastly, my espadrille shoes (they’re under $80) made this whole ensemble feel a bit more dressy. 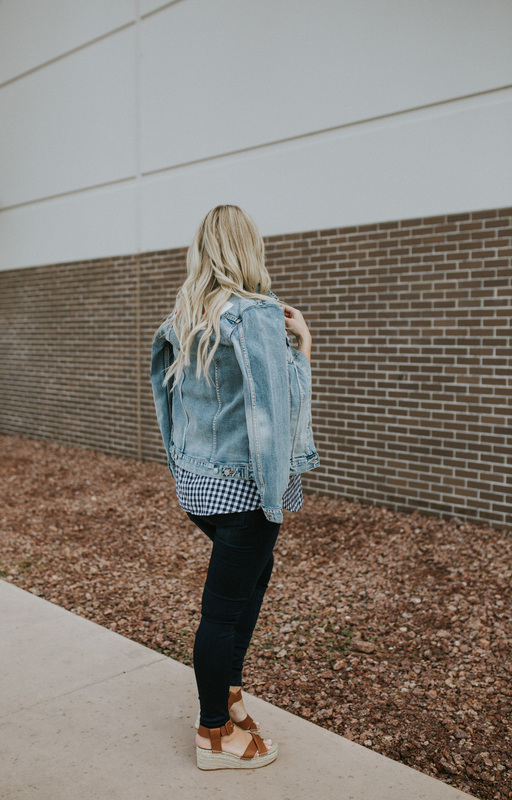 I love them because they’re comfy and easy to walk in, but still look cute and elongate the leg! 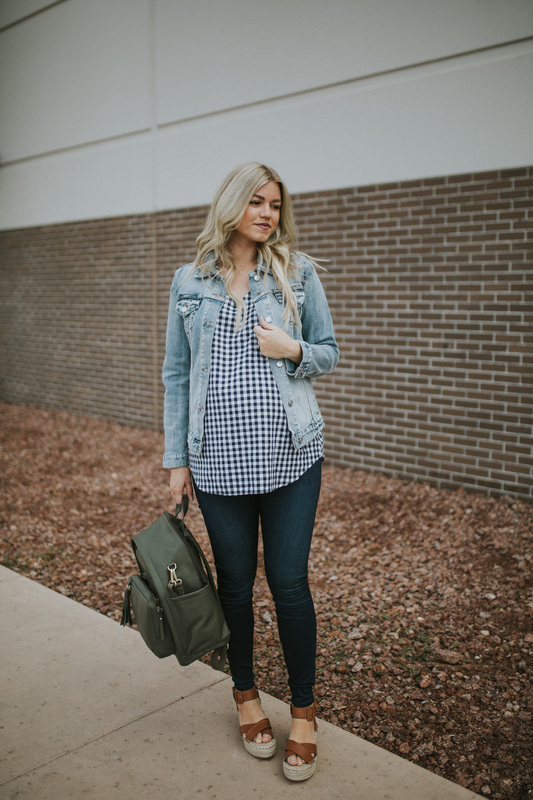 I hope you enjoyed this post about the best maternity tops for spring! 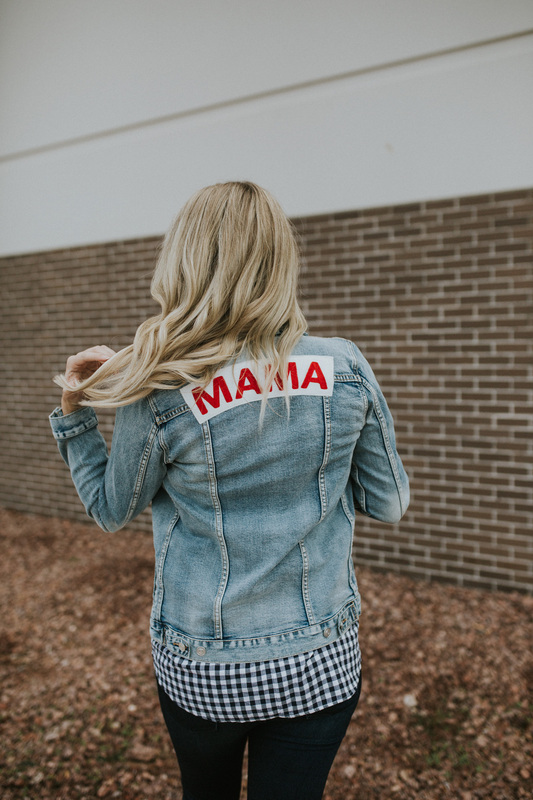 If you enjoyed this post, please consider pinning any of the above images to Pinterest so other moms or moms-to-be can find it and enjoy it too!